I’m not a very good guitar player but I still love guitars. I don’t want to be in a band, I don’t want to play in front of people, I just want to learn songs off the radio and play them to have fun. I didn’t think much about it and just forwarded it to a friend. They said they were interested and would check it out the next day. I realized I had just skimmed the ad and didn’t really read it. 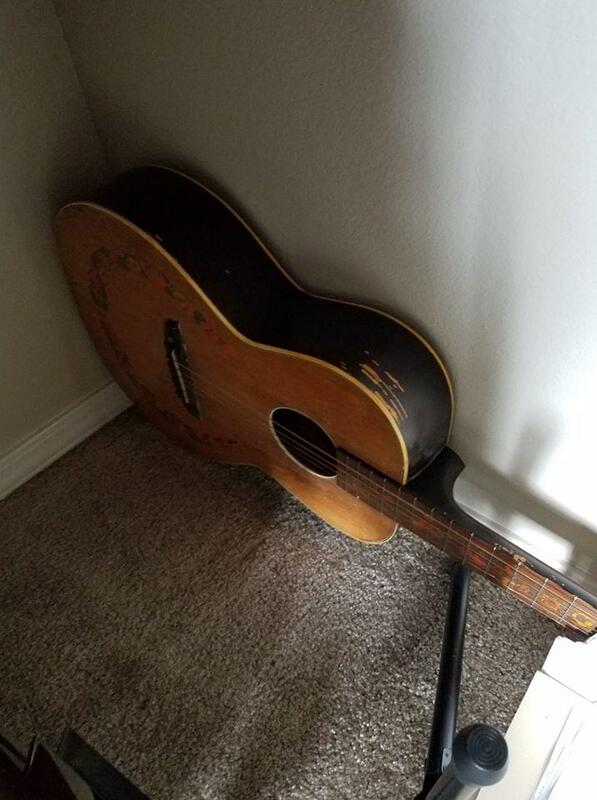 Depending on how old, a Harmony Master can be between $300 – $1,000 depending on age, model and condition. 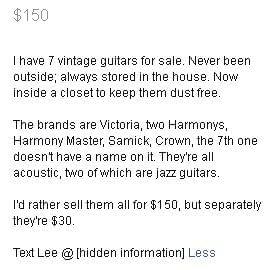 Each guitar $30? It’s like an episode of American Pickers or those shows where they bid on storage bins. 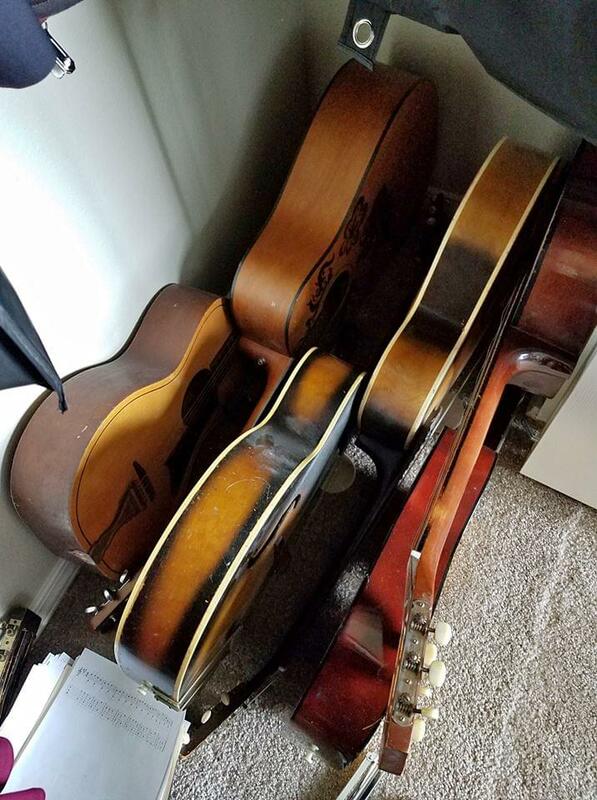 I dream about finding a bunch or motorcycles in a garage or guitars from the 30’s at a yard sale. I couldn’t go wrong!